Co-Built is one of those companies quietly bubbling under, deserving of a higher profile. 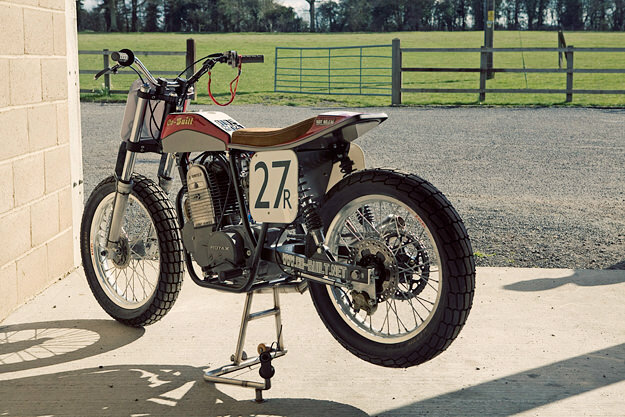 They’re three guys based in Oxford in England, and they build motorcycles for both road and track. This flat track racer is their latest creation, and it’s sporting a frame and geometry based on data supplied by US superstar Kenny Roberts. This bike was built for Drogo Mitchie to race in the UK short track series. 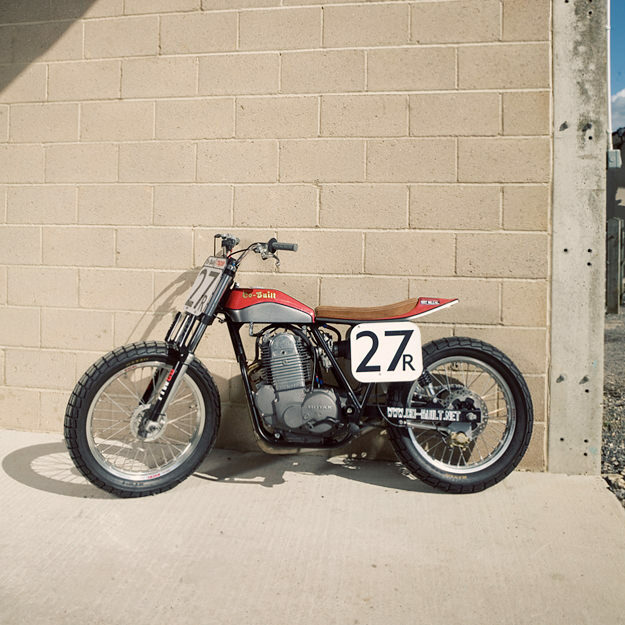 The brief was to create a race bike on a budget, and Drogo got the freedom to add his own styling touches. The motor is a bulletproof Rotax, taken from a CCM 604 supermoto. It’s stock except for a hotter cam, a rejetted Dell’Orto carb and a new filter. The wheels are reconditioned, taken from a Suzuki RM two-stroke, with the front re-rimmed to 19”. 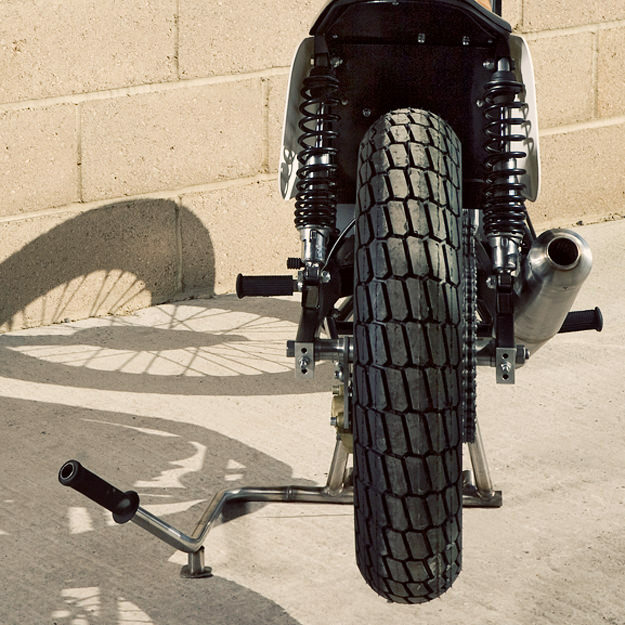 The twin shocks are Konis lifted from Drogo’s previous Yamaha XS650 project and the stubby, upswept exhaust is Co-Built’s own stainless flat track design, which they fit to most of their bikes. Co-Built has an incredible track record when it comes to building race bikes, so we can expect good things of this one. 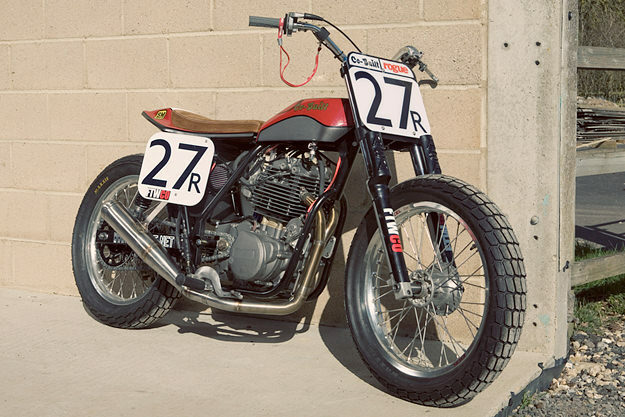 All of Co-Built’s ground-up builds are being raced in the UK and Europe at the moment, and in 2011, four of the top ten bikes in the UK’s GNC short track series came from the Oxford workshop. 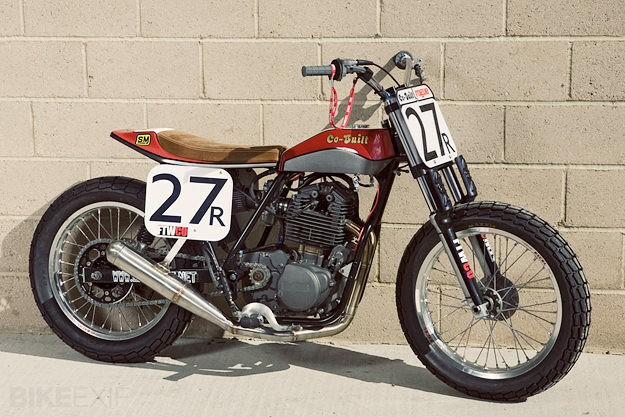 Head over to the Co-Built site for more images of their bikes and plenty of go-fast, tracker-ish parts. 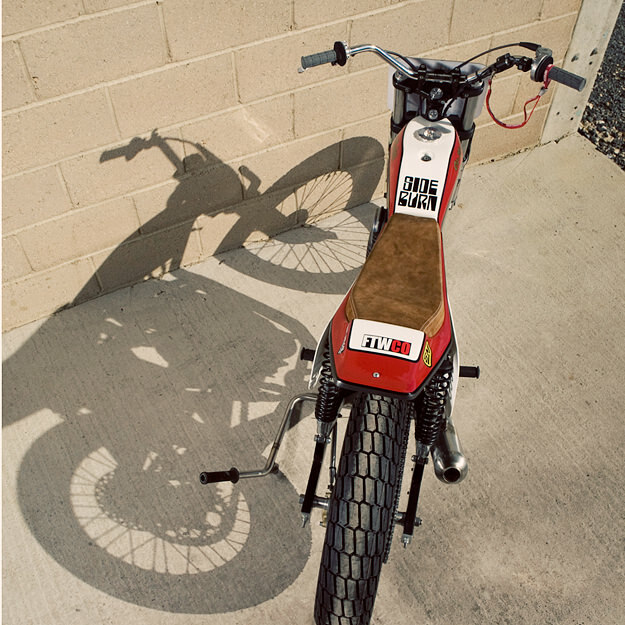 Images courtesy of Ben Part of Sideburn magazine.